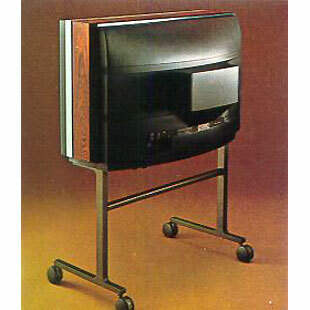 Beovision 3800 and 3900 were 22" colour TV receivers finished in genuine wood veneers (teak or rosewood). They superceded models 3602 and 3702 in 1979. The sets were slim and elegant and their classic design suited any home décor according to the 1979 - 80 catalogue. High Bright picture tubes allowed for satisfactory daylight viewing since they permitted around 70% more light than from the screen than conventional picture tubes. Beovision 3800 was for direct (set box) operation while Beovision 3900 permitted you to operate the set via an ultrasonic remote control handset. 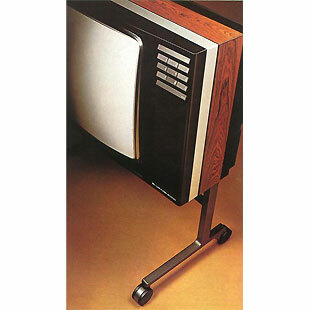 Beovision 3900 could also be supplied equipped for Teletext reception. Automatic cut-off circuits guaranteed correct balance between the three basic colours (red, green blue) even after a long period of use. In fact, these sets incorporated every refinement which still makes Bang & Olufsen's television sets among the market's best. VCR programmes could be played without additional technical adjustment. There was an automatic synchronisation on all channels.